Making the best of a bad situation. 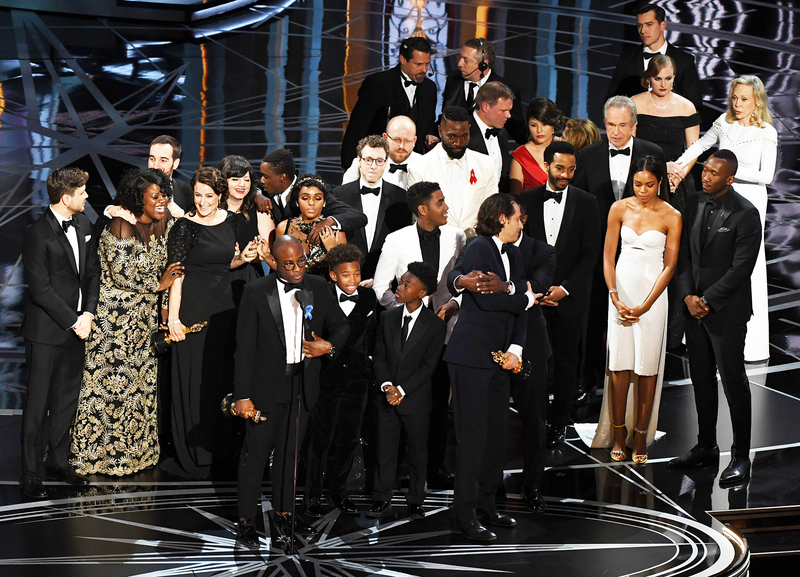 The casts of La La Land and Moonlight were gracious in their reactions to the epic Best Picture Oscars 2017 mixup that saw the hit musical initially given the award instead of the real winner, Moonlight. Watch the cringeworthy moment in the video above! As Us Weekly previously reported, the cast of La La Land, including Ryan Gosling and Emma Stone, were already onstage as several members of the crew gave their acceptance speeches before they realized there’d been a screwup. Best actress winner Stone, 28, could be seen mouthing, “Oh, my God,” before La La Land producer Jordan Horowitz said, “I’m sorry, no, there’s a mistake. Moonlight, you guys won Best Picture. This is not a joke. Moonlight has won Best Picture.” He then held up the correct card for all to see and handed the award over to Moonlight. The cast of the coming-of-age film seemed stunned as they then made their way to the podium while the La La Land cast filed quietly off stage and the real winner’s writer and director, Barry Jenkins, gave a speech. Stone also addressed the controversy in a backstage interview, saying that she “f–king loved Moonlight” was “so excited” for its Best Picture win. Moonlight‘s best supporting actor winner, Mahershala Ali, admitted that he began to get worried when he saw a lot of people coming out onto the stage and La La Land‘s winning moment disrupted.